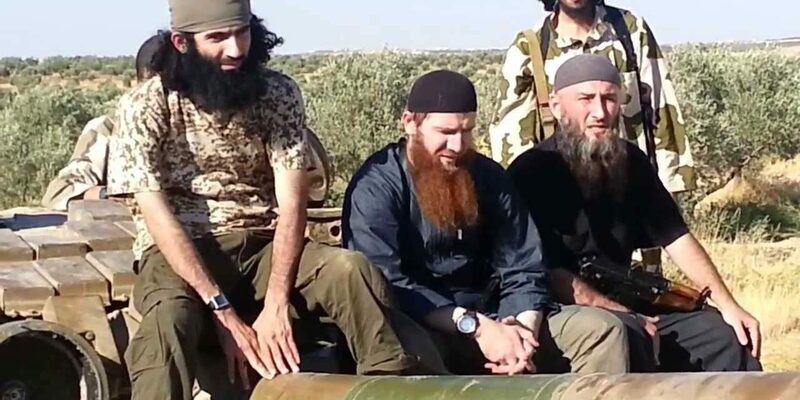 In August, Abu Umar al-Shishani (“Abu Umar the Chechen”) surged to prominence in the Syrian conflict. The faction which he led, Jaish al-Muhajirin wa Ansar (Army of Emigrants and Helpers) had played a key role in one of the insurgency’s biggest victories of 2013, the capture of Menagh Airbase in Aleppo Province. Over the next three months, EA’s Joanna Paraszczuk investigated the story of al-Shishani and the foreign fighters, most of them ethnic Chechens, of Jaish al-Muhajirin wa Ansar. She detailed the evolution of the group, assessed its significance in the insurgency, and examined its relationship with the Islamic State of Iraq and as-Sham. She brought testimony from al-Shishani himself, in videos commenting on battles near Hama, on ISIS — which had reportedly named him “Northern Emir” for Syria — and on battles with Kurdish militia this autumn. Doing so, she put into perspective the overblown claims of media and some analysts that the “foreign jihadists” of Jaish had “spearheaded the capture” of Menagh and become a leading force in the insurgency. Her story of Abu Umar also gave much-needed context for a media shorthand that was reducing factions in northern Syria to “Al Qa’eda-linked” without considering their backgrounds, operations, and motives. Now we have additional information for Paraszczuk’s analysis, courtesy of two detailed and sometimes curious stories, from Alan Cullison of The Wall Street Journal, and from Murad Batal Shishani of BBC Arabic, about the “real” Abu Umar. Both Batal Shishani and Cullison have published stories based heavily on information from anonymous sources, and a middleman who gave information from Georgia’s Defense Ministry. Cullison, who interviewed people claiming to be Umar /Tarkhan’s relatives and two of his (anonymous) former army commanders, says that he grew up as a shepherd boy in Georgia’s Pankisi Gorge, “living in a brick hut with no plumbing in the village of Birkiani”. His long-standing campaign against Moscow began as he helped Chechen rebels cross secretly into Russia and sometimes joined the fighters on missions against Russian-backed troops. After leaving high school, Umar /Tarkhan joined the Georgian army, winning plaudits for his handling of weapons and maps and joining a special reconnaissance group. He was eventually promoted to sergeant in a new intelligence unit, spying on Russian tank columns during Georgia’s 2008 five-day war with Moscow. In 2010, Umar /Tarkhan’s life changed when he was diagnosed with tuberculosis and confined to a military hospital for several months. He was deemed unfit for the military and discharged. Islamist fighters inside Russia, he was sentenced to three years in prison in September 2010. When he was released after 16 months, he left Georgia. Umar /Tarkhan’s father says his son left for Istanbul, where an older brother had gone months earlier, because he had “no job, no prospects”. While his father says Umar /Tarkhan intended to join an Islamist force fighting inside Syria, he disappeared until this spring when he emerged in promotional videos for Jaish al-Muhajirin wal Ansar. In Batal Shishani’s version for BBC Arabic — published some days before Cullison’s, on November 13 — we learn that BBC Arabic “spoke with a Chechen who served with him (in the Georgian Army), who said he was “a young man sober, sane, considered such by all who knew him, nothing in his character that demonstrated anything extreme or something like that”. The BBC Arabic version says that it managed to access a file from Abu Umar’s military service, from the Georgian Defense Ministry, via a middleman who asked not to be identified. The military file revealed that Tarkhan Batirashvili was born in 1968 in the village of Barkiyana in the Pankisi Gorge. He served his compulsory military service between 2006 and 2007. After he finished his service in the disputed region of Abkhazia between Russia and Georgia, in early 2008 he signed a contract to join the Georgian army in a sniper battalion. The file seen by BBC Arabic says that Tarkhan fought in battles with the Georgian Army against Russia during the five-day war in 2008, and was promoted to the rank of sergeant because of his performance, but he was never rewarded. Instead, because of a health conditions — he contracted tuberculosis in 2010 — he was discharged from service in June that same year. In September 2010 Tarkhan was imprisoned on charges of buying and storing weapons. He was sentenced to three years, but was released to his deteriorating health, before the end of his sentence. Some who knew him said that he then traveled to Turkey, and from there to Syria, which had begun experiencing armed conflict. Assisted by his military experience, he gained a leadership position with armed groups in Syria. It is an engaging story, but what is its significance for an understanding of the insurgency in the Syrian conflict? Both articles offer more questions than answers. Did Umar /Batirashvili Become a “Global Islamic Jihadist”? The common narrative of Islamist groups in Syria, and the foreign fighters in them, is that they are pursuing a sectarian campaign for a global Islamist ideology. That often turns into the phrase “Al Qa’eda-linked”. Cullison’s account offers little of this for Umar /Batirashvili. There are only two sentences. Cullison does not give a link to the website, so there is no way to establish if Umar /Batirashvili offered more insight into a religious motivation. Mr. Batirashvili’s father…doubts his son’s beard was grown out of any religious conviction. “He just switched armies, and now he’s wearing a different hat,” he said. How Did Umar /Batirashvili Rise So Quickly to Lead Jaish al-Muhajirin wa Ansar? In Cullison’s story, Umar /Batirashvili goes to Turkey in 2012 with military experience and some evidence of support for Islamist insurgents in Russia, but no previous involvement, let alone leadership, with factions fighting in Syria. Within a year, however, Umar /Batirashvili moves from recruit to head of Jaish al-Muhajirin wa Ansar, formed in March 2013 from the merger of three Islamist factions — Kataeb al-Muhajireen, Kataeb Khattab, and Jaish Muhammad. There is no explanation in the article of Umar /Batirashvili’s meteoric rise to become, in Cullison’s words, an “unruly mastermind” of an insurgent force. What is Jaish al-Muhajirin wa Ansar’s Relationship with the Islamic State of Iraq? The jihadi commander has recently emerged from obscurity to be the northern commander in Syria of the Islamic State of Iraq and the Sham (ISIS), an al Qaeda-connected coalition whose thousands of Arab and foreign fighters have overrun key Syrian military bases, staged public executions and muscled aside American-backed moderate rebel groups trying to topple President Bashar al-Assad. However, the article has no information on the link between Jaish al-Mujahirin wa Ansar and ISIS, other than the nominal designation of Umar /Batarashvili as an “Emir of the Northern Front” for ISIS during a major offensive by insurgents in Latakia Province in August. And there is nothing in the piece to link Jaish with Al Qa’eda beyond the generic guilt-by-association reference to Umar /Batarashvili as an ISIS Emir. Perhaps ironically, given its dramatic opening of Jaish’s involvement in the capture of the Menagh airbase in August, the Wall Street Journal account undermines the portrayal of a well-organized “foreign jihadist” effort which has systematically taken over the insurgency. Instead, Umar/Batarashvili’s story — and thus the story of Jaish — is one of circumstances and opportunities in which a motley collection of fighters, mainly from outside Syria, gathered. Some may have a sense of “global jihad”, others may have a vague ideological commitment, others may just have a general wish to be involved in a battle. Umar/Batarashvili, who often struggles to put together a sentence, does not offer a coherent vision of jihad beyond the fight as a fight — against President Assad’s forces, against the Kurds, possibly against other insurgents. This does not diminish Jaish as a force, at Menagh and elsewhere. Its use of suicide bombers, its ruthlessness — noted and condemned in a Human Rights Watch report on the Latakia offensive — and its determination have made it an asset for insurgent campaigns. However, it is only one of a large number of such forces in a patchwork insurgency in a fragmented conflict. Jaish are not the cohesive “foreign jihadist” front dominating an insurgency on behalf of Al Qa’eda. And Abu Umar/Batarashvili — ex-shepherd boy, veteran of the Georgian military, former prisoner — is just a man who “switched armies” to fight another fight.